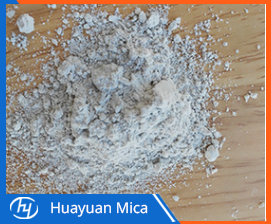 Because Sericite Mica Powder has fine scales, smooth surface, large diameter-to-thickness ratio, high whiteness, stable chemical properties, light weight, smoothness, insulation and radiation resistance, it is a variety of high-grade paint, rust and fire prevention. Good pigment and filler for anti-corrosion coatings. Due to the layered structure of the Sericite Mica, the dye particles can be kept in the lattice layer of the sericite, and the paint film can be kept from fading for a long time. In the rubber industry, sericite is a good filler or extender that reduces the rubber content of the material and thus reduces production costs. Sericite's unique sheet structure can effectively improve the damping properties of rubber. Its good resistance to pressure, tensile, light, flame, weathering, heat, acid and electrical insulation properties can improve the mechanical properties, heat resistance and anti-aging properties of rubber products with sericite. Used in the development of special rubber products. Sericite's unique fine-scale structure and silky luster performance, when used as a reinforcing filler in the plastics industry, can significantly improve the optical properties of plastic products, improve the airtightness, rigidity, heat resistance and dimensional stability of plastic products. This is exactly what makes it different from other inorganic fillers. Muscovite Mica and Phlogopite Mica is also hot selling now, any details, please call us at any time. Next: Where To Use Himalayan Salt Lamps?